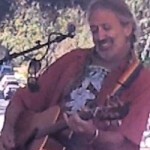 Returning as emcee, Smitty is a well-known Ojai community leader, musician and producer. He has lived here for 20 plus years and has been selected one of “Ojai’s Living Treasures”. He is past president of the Rotary Club of Ojai, leader of Ojai Songwriters Anonymous, director of “Rockin’ It Old School” seniors chorus, and owner/manager of Euterpe Farms, a native plant farm where he lives and produces music and plants! He is one-half of the popular vocal duo “Smitty and Julija”.You can find more about Smitty here! Richard is a local singer/songwriter, telling stories drawn from his life with a dash of the experiences of those around him mixed in. His songs cover a variety of styles ranging from blues and light jazz to country and rock, in spite of having grown up on a steady diet of surf music and psychedelic rock. The driving rhythms will get your feet tapping; the acerbic wit, bring a smile to your face. Richard has a way with words not often found, marching to his own drum and sharing his slightly off-center view of the world thru ballads, love songs, and sometimes even simple social commentary. 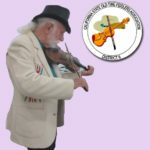 The California State Old Time Fiddlers Association (CSOTFA) is a state-wide non-profit organization dedicated to the preservation and perpetuation of Old Time Music with an emphasis on the fiddle. 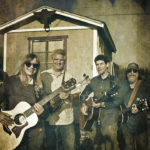 The local chapter, CSOFTA District 8, hosts free acoustic jam sessions on the 2nd and 4th Sunday of every month (except Mother’s Day and December) from 1:30 – 4:30 PM at the Oak View Community Center, 18 Valley Rd, Oak View, CA 93022. We welcome all ages, skill levels, and dancers to this family friendly setting. 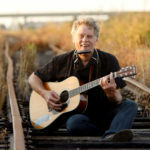 Hal Waite, singer/songwriter from Ojai, delivers a smooth bluesy and soulful blend of country, bluegrass, folk and gospel. An acoustic guitarist and accomplished harmonica player, his poignant lyrics, crystal clear voice and well crafted melodies influenced by outlaw country and country swing are interlaced with upbeat bluegrass rhythms and coated with a classic blues sound. Hal launched his professional career as a comedy writer creating lyrics for “The Rugrats” franchise in songs such as “Phil’s Diapey Hangs Low”. He has co-written with Mark Mothersbaugh, formerly of Devo and is a former member of the Scroon River String Band. Hal is a member of the Old Time Country Bluegrass Gospel Association and the Cal Fiddlers. Meet Lynn Mullins and Coyote Creek – musicians whose careers span great divides. Multiple genres mastered at many times with many bands in order to come up with the best of the best: singers/songwriters/players of the highest calibre. Get set for a treat to the ears – Fine harmonies, mastery of instruments, a mix of pros you’ll want to get to know better and hear again and again. 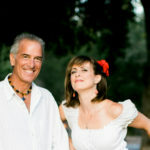 Smitty and Julija are Ojai, California-based artists who perform beautiful music with paired vocal harmonies, and sensual interpretations of both original music and songs from their favorite singer/songwriters. Julija Zonic (pronounced Yooleeya) is a Croatian singer, songwriter and actress now living in Ojai. A professional entertainer since childhood, her rich, sweet vocals and dynamic range cut across all song styles to move audiences around the world. Smitty West – Ojai-based keyboardist, vocalist songwriter, and film scorer. 2009 MAVRIC award winner for song of the year, comedy – Triple-nominated for song of the year, acoustic, foreign language, and comedy. 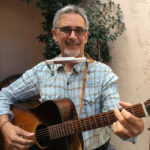 Well-known throughout Southern California for his versatility.Smitty is the founder of Ojai Songwriters Anonymous, an Ojai Valley artist group dedicated to the support of local music. Smitty and Julija have recently released a new album, “Made In Ojai,” a collection of original music written and produced entirely here in Ojai. This follows their popular album, “To Leonard With Love,” a tribute work to the songwriter Leonard Cohen. More about Smitty and Julija on Facebook. Cindy Kalmenson spent 14 years in Nashville where she recorded 3 critically acclaimed CDs. After Cindy moved to Ojai in 2009 she met Ray Magee when she knocked on his door asking permission to pick a Pomegranate from his bountiful tree. She noticed a stand up bass in his living room and 1 month later Cindy and Ray became next door neighbors and that was the beginning of what has become , The Lucky Ducks. Earning the award for best band of Ojai in 2013, The Ducks have become a mainstay on stages throughout Ojai and Ventura county. 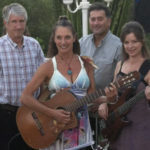 Cindy Kalmenson and the Lucky have played many of the popular music festivals in Ojai including the Storytellers Festival, The Lavender Festival, Ojai Day, Jammin at the Art Center and Art in the Park. 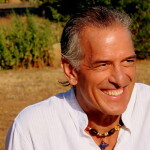 Jon Gindick is a world renowned singer/songwriter and blues harmonica author, instructor, and seminar leader. For his performance at this year’s Lavender Festival Jon will be playing with journeyman musicians Ralph Carter (keys) Pete Gallagher (drums) and Eric Monteith (bass). Along with his Ventura performance schedule, Jon puts on Blues Harmonica Jam Camps four times a year in the Mississippi Delta and Ventura. Jon’s award-winning CD of original tunes “When We Die, We All Come Back As Music” and his new CD will be available at the stage. More info about Jon and harmonicas here. 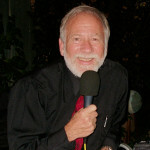 Roger has provided equipment and sound engineering for multiple local events over many years and in the past was listed as the Audio Engineer for the Ojai Film Festival which involves all the set up and sound at Libbey Bowl for the opening night film along with live workshops and ceremonies involving film professionals. 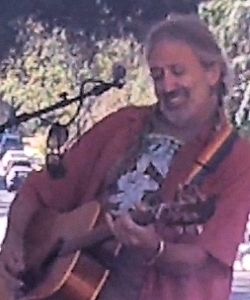 This is his fifth year doing the setup and sound engineering for our Ojai Valley Lavender Festival, Gazebo stage. As a Mobile Disk Jockey with 12 years professional membership in the American Disk Jockey Association, he has provided DJ, Entertainment and Master of Ceremony services for Weddings, Birthday Parties, and special events like the 5K, 10K fund raising runs for the American Heart Association, and the Ojai Hospital Foundation. He has been honored as one of “Ojai’s Living Treasures” and supplies sound services at their annual awards ceremony. Roger runs professional sound and lighting almost weekly for other local area services. 2020 will mark his 50th year as a local optometrist in Ojai. 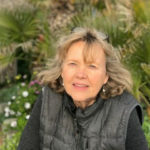 Renee Roth is an environmental “actionist” and rainscape designer who understands how to capture, reuse and recycle water into our landscapes. She promotes the watershed approach to landscape design that capture rainwater and reuse greywater, build healthy soil and use climate appropriate plants to support wildlife. Renee is leading the Save Our Water, Ojai! Campaign for the Ojai Valley Green Coalition to promote drought resilient landscaping. Renee has been a leader in educating and designing environmentally sustainable projects for over 10 years that protect the water resources of the Ventura River watershed. She has led classes and workshops that educate our community and strengthen our connection between natural spaces and the urban environment. She has a B.S. from the U. of Oregon and an A.S. degree in Environmental Horticulture from Santa Barbara C.C. Amanda Mullins is an artist and musician turned health advocate and coach. 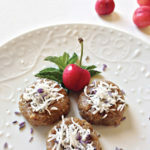 She is passionate about teaching others how to incorporate delicious, healthy plant-based foods into their lives with ease. Her fun approach to cooking helps people feel empowered in their personal health journeys and unleashes their creativity in the kitchen. Amanda has released a cookbook of personal recipes that are already beloved by her friends and family. It will be available purchase. For more information see Amanda’s website. Get your taste buds ready for a nutritious and delicious no bake lavender lemon cookie especially made for this year’s Lavender Festival! The views and opinions expressed by the speakers and entertainers at the OVLF and on their websites do not necessarily reflect the policy, position, or opinion of the Ojai Valley Lavender Festival.